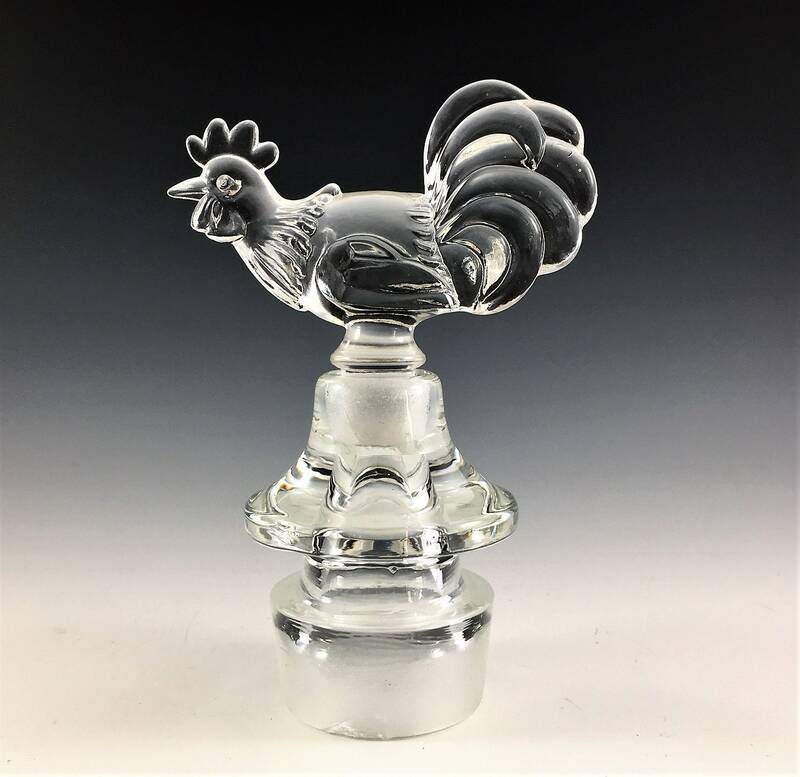 Featured is a stunning piece from Paden City. 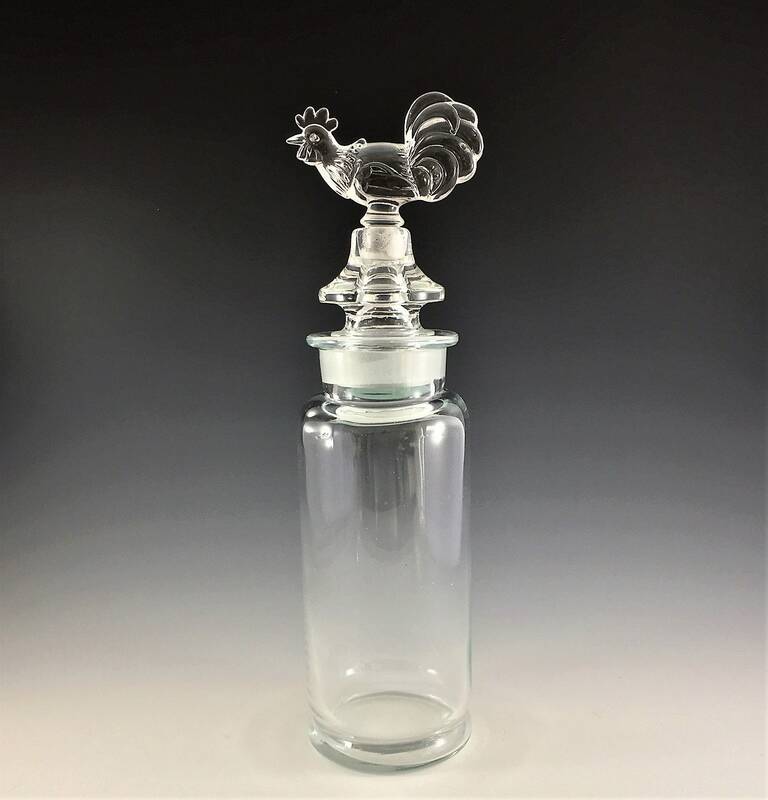 This is their Crystal #902 Decanter With Rooster Top. 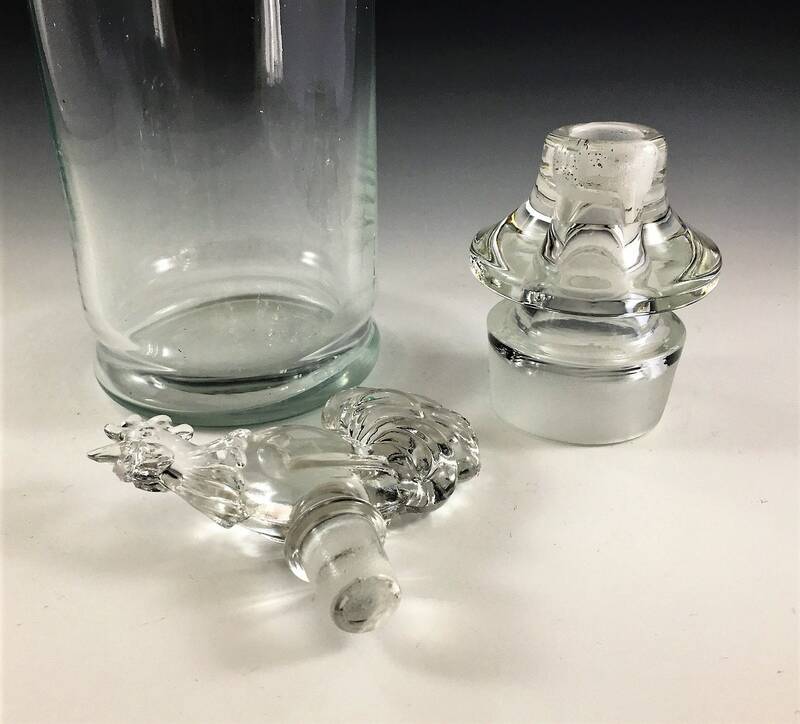 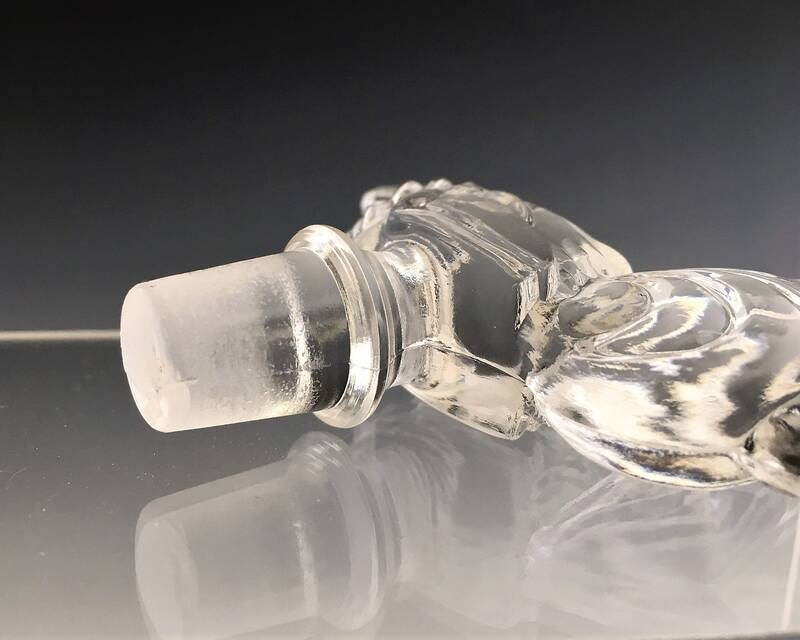 The 3 piece decanter/shaker is a full 12 1/2 inches tall when assembled and is about 3 1/4 inches in diameter. 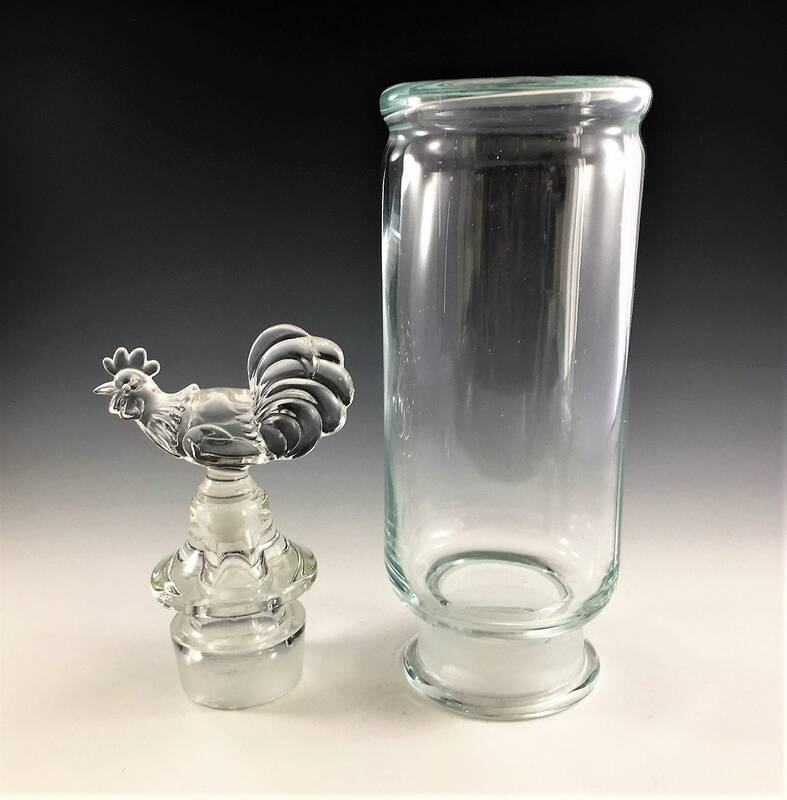 This would be a fantastic addition to a retro or mid century bar, and it pairs oh, so nicely with Morgantown's Chanticleer cocktail glasses. 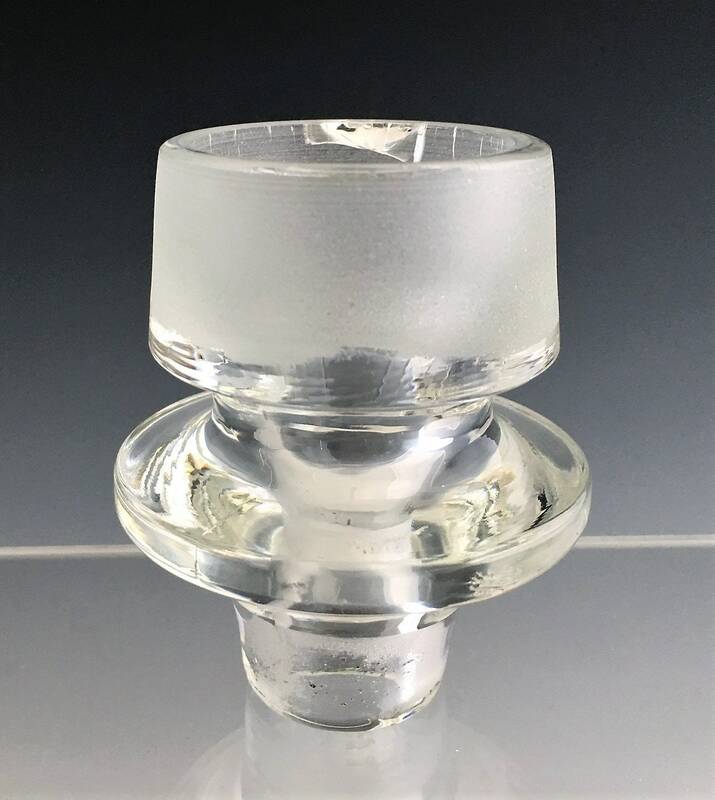 This piece is in great condition, but it is not perfect. 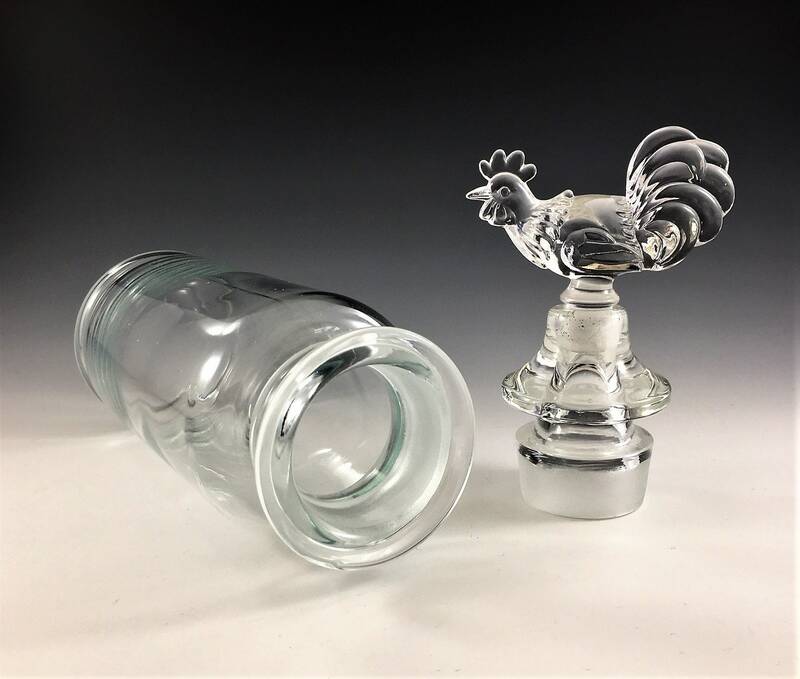 There is a tiny chip to the bottom of the rooster stopper, and there is a a chip to the internal rim of the center stopper (see photos). 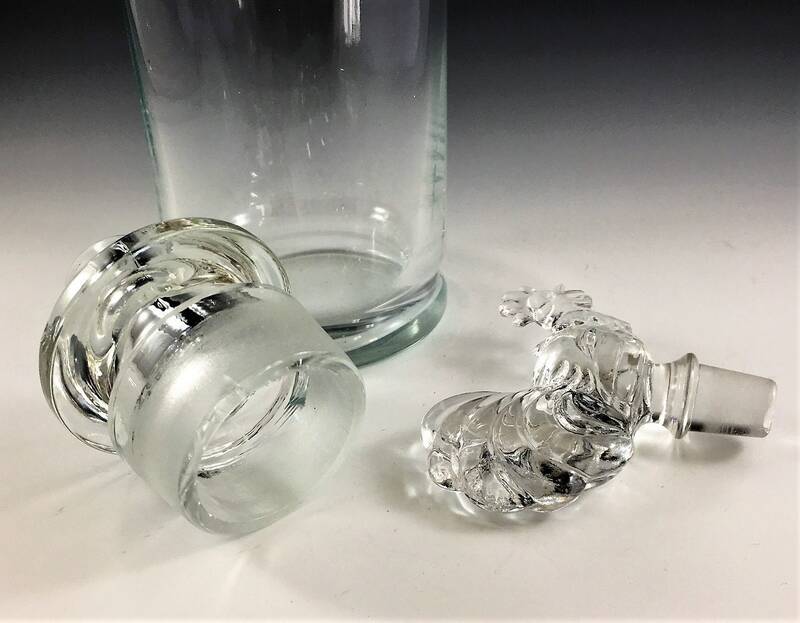 Neither of these flaws is visible when the decanter is assembled, and I have reduced the price to account for these minor defects.